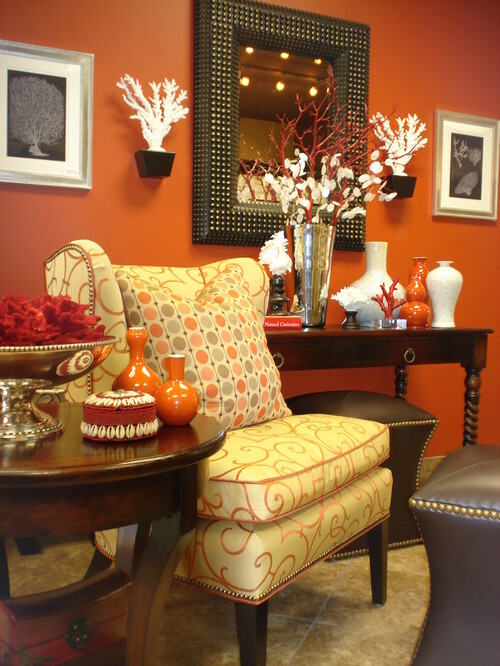 How much fun to bring vibrant, energetic orange into an interior setting! 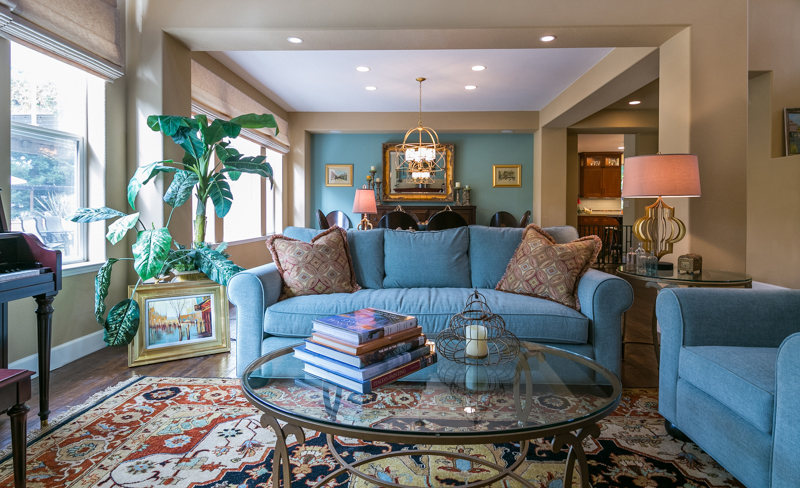 Studies show that orange rooms inspire creativity and conversation while also stimulating the senses. 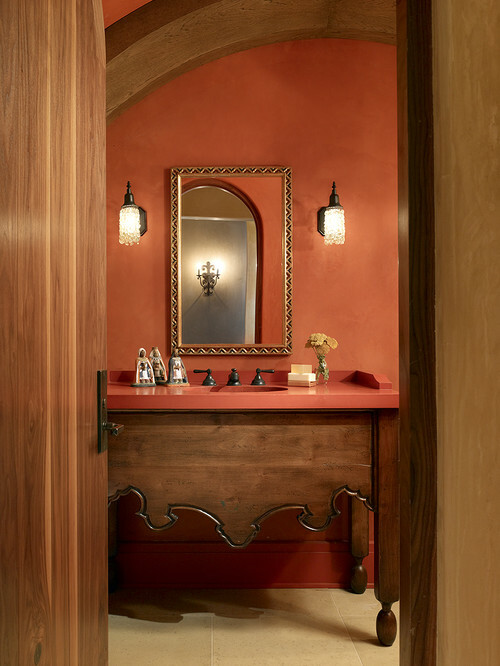 Orange reminds us of sunsets, spices, fire and heat and can be successfully used in physically cooler rooms to psychologically warm those spaces. Fascinating! For what it’s worth, let’s look at these inspiring and welcoming interiors, and how they apply orange at its best. Mango, pumpkin, apricot, paprika, nectarine and persimmon– flavors and tastes promoting health and nutrition complement our interior – and flavor – palettes. Definitely my favorite color to use in a kitchen as it promotes creativity, conversation, and appetite! 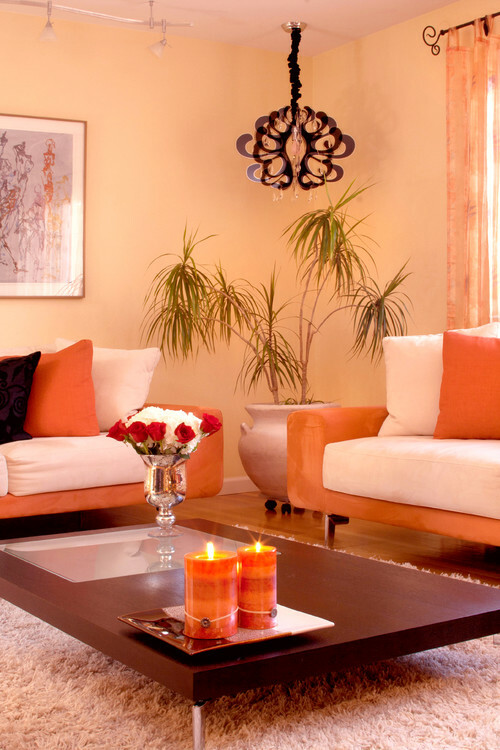 Adding white to orange creates the tint of peach found in these walls, adding black creates the brown tones seen here in the chandelier, toss pillows and coffee table. Don’t forget that many wood tones are actually composed of orange undertones and are extremely rich when paired with this vibrant palette. work perfectly against the soft blue grey backdrop. 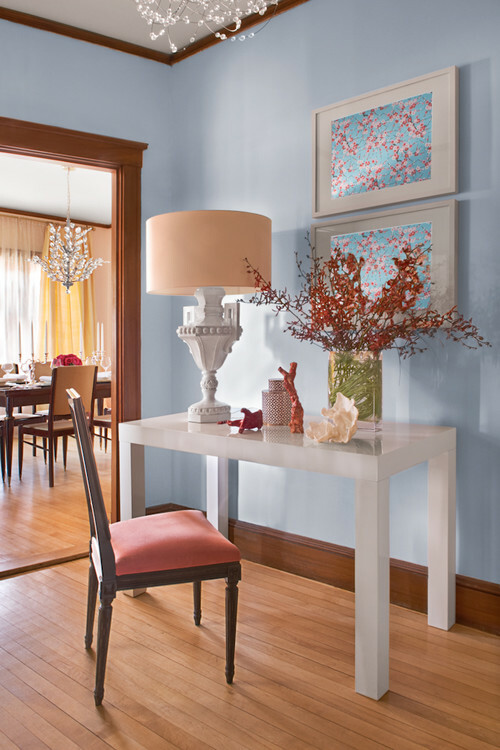 On the color wheel, orange is positioned across from blue, which pairs into a harmonious complimentary scheme. Note the varying shades and tints of orange – from the salmon seat fabric to the deep paprika colors of the florals and accents – which are repeated in the cherry blossom motif of the art. apply it to a single, focal wall …..
the splash of lime and heathered greens. with our skin tones. How fantastic to walk out of any room thinking “I look my absolute best”! 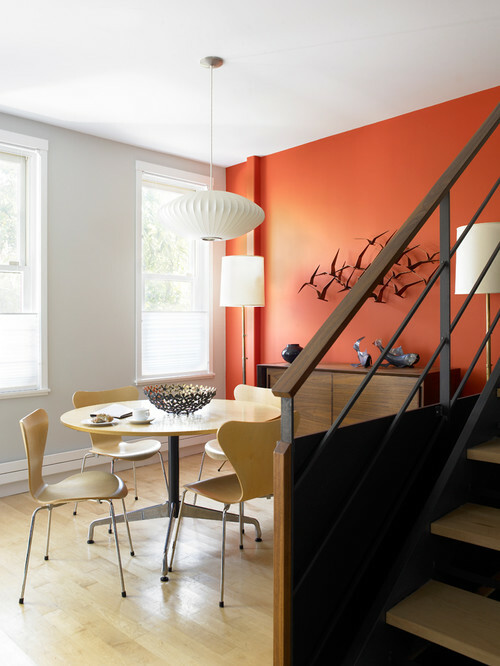 Zesty, zippy orange … love it or hate it … is one of the more controversial colors on the color wheel. Tell us your feelings about applying orange in your world!